The Spanish Canary Islands are an archipelago that lies in the Atlantic Ocean of the NW coast of mainland Africa. They consist of seven islands of volcanic origin; Gran Canaria, Tenerife, Lanzarote, La Palma, La Gomera, El Hierro, Fuerteventura and La Graciosa. 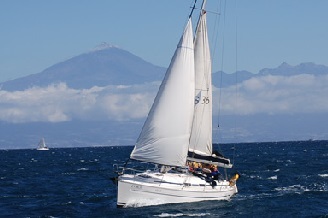 The Canary Island's geographical position means that there are generally good winds for sailing. The NE trades that once took Columbus to America funnel through the islands creating what are known as wind acceleration zones and this means that even with fairly light prevailing winds there is still enough wind for a great sail. Despite its position close to the tropics, the Canaries are not too hot in summer, 21-29°C, and pleasantly warm in winter, 15-20°C. The islands are a perfect year round yacht charter destination. Gales are infrequent and the islands are not affected by hurricanes. On your yacht charter in the Canary Islands you have the opportunity to see whales, dolphins, turtles, and flying fish. 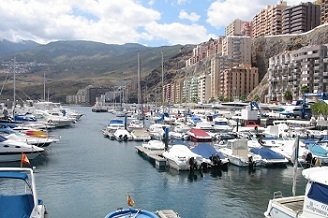 Tenerife - We can offer boats from the capital, Santa Cruz, in the north of the island. Radazul on the east cost. And from Marina del Sur and Marina Galletas on the south coast, close the international airport which has flights from nuemerous European cities. Gran Canaria - We can offer boats from Pasito Blanco on the south coast of the island and from the capital, Las Palmas, in the north. 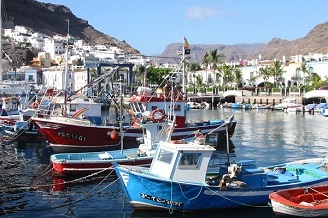 Lanzarote - We can offer boats from Arecife and Marina Rubicon.